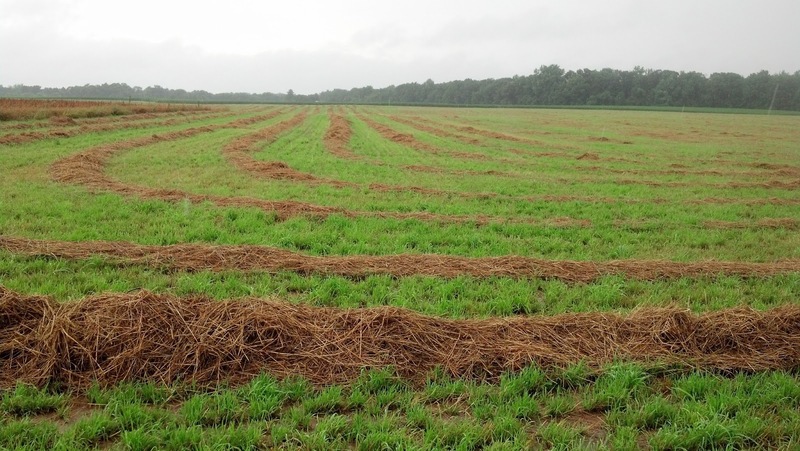 Home agriculture in the MidAtlantic excess rain Maryland Agriculture poor crops due to rain unplanted crops Weather Rain Is A Good Thing.... Well, Sometimes. Rain Is A Good Thing.... Well, Sometimes. 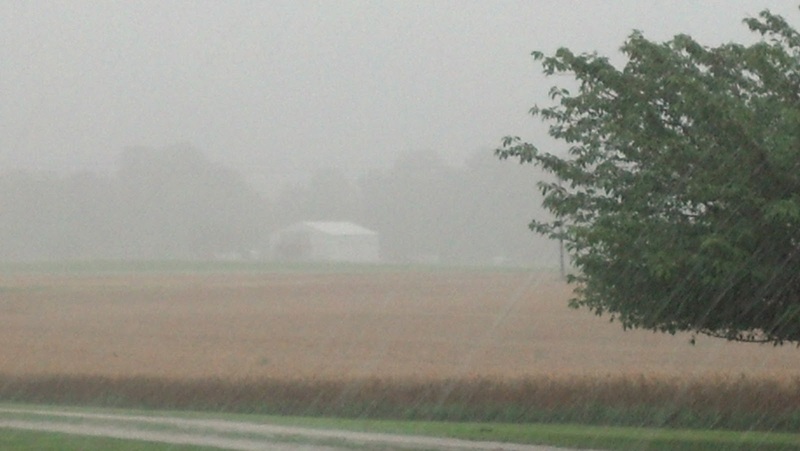 Rain, Rain, Go Away.... that's a pretty risky thing for a farmer to say. Its usually the other way around. 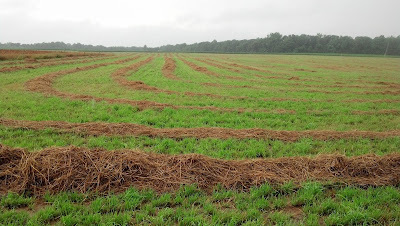 I never imagined I'd blog about excess rain, maybe lack of rain, but excess rain is generally only a problem for us on the Eastern Shore of Maryland in the fall when hurricane season picks up and we are trying to get crops off the field. 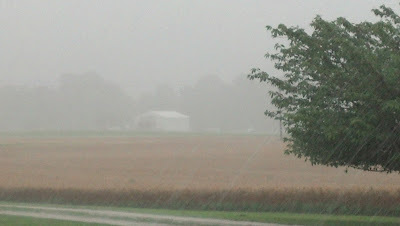 This year we have the opposite problem, we can't get our crops IN the field to begin with, at least not soybeans. The crops we do have in the field are struggling and fruits and vegetables are beginning to show signs of rot from constantly being wet. Wheat/Small Grain: See that wheat in the field? Its test weight is dropping because its getting rained on... Let me explain. Wheat quality is based in part on test weights which are done at the grain elevator when the truck pulls in. When wheat dries in the field naturally, it has a higher test weight meaning it has a higher starch content. After a rain, the wheat seed begins to regerminate which uses up some of the starch it created originally, and its "weight" is lower because it has less starch. In some severe instances, the head of the wheat will actually sprout, which again, effects the quality and the test weight. 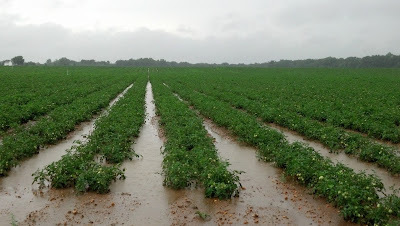 Field tomatoes standing in water is never a good thing. They will of course rot if it does dry out. 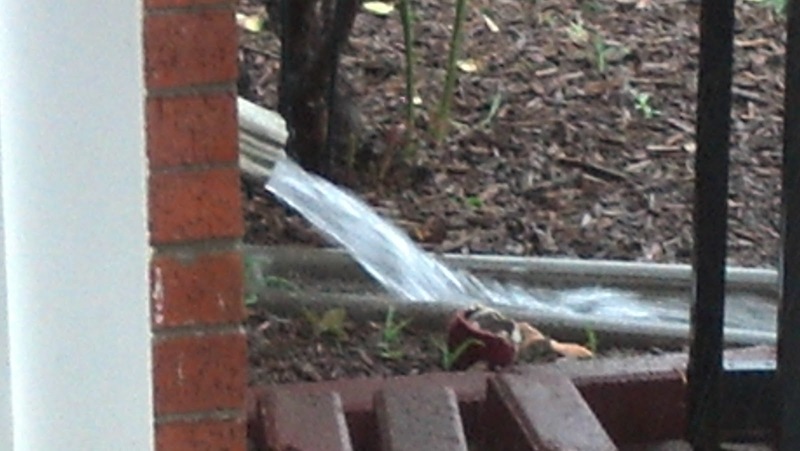 Usually we have to irrigate our tomatoes. This year we have yet to turn on our irrigation pivots. 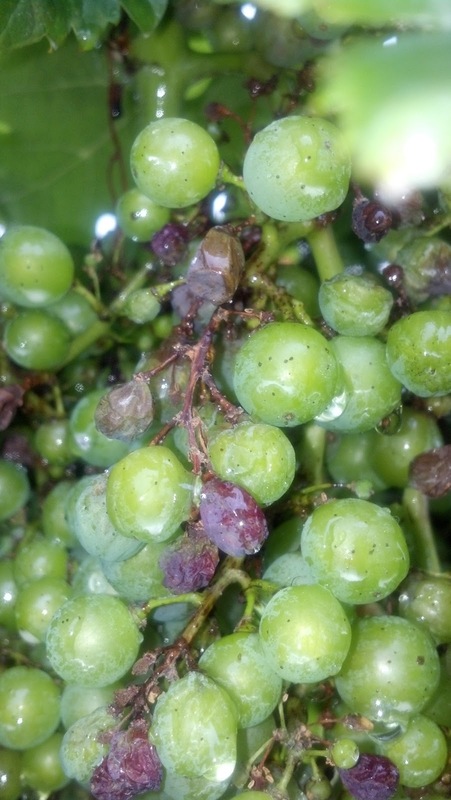 Fruit rot in unripe grapes is unheard of. This was what I thought was black rot but was frustrated because I had a really good spray program. Tissue samples determined this was actually ripe rot on unripe grapes which is nearly unheard of. We had 24 days of rain in June and so far in July have had 10 days of rain which means this fruit has had very little time to get or stay dry. Vineyards have a lot of downy mildew as well from the moisture. If they lose their leaves due to mildew, then the fruit will never ripen. This hay has been on the ground for 2 weeks. Its moldy and actually slimey and will get baled for mulch. We normally get 3-4 cuttings of hay off of fields each year. This year some fields havent been cut once yet. We are telling customers that hay will be very short this winter and to look for other sources because we have so little in the barn for sale, as do most of our neighbors who also make hay. We still have nearly 300 acres of soybeans to plant. Excess rain is more disasterous than drought. If you can't get your crop planted you will have absolutely no income. At least with a drought you can get your field work done and your crop planted and have a small expectation of a crop this season. If there was a way for me to send excess rain to the drought stricken areas, I would absolutely do so.